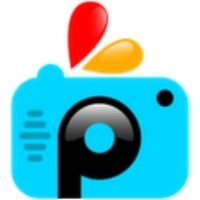 PicsArt Photo Studio is a photo editing app for Android phones. This isn’t as powerful as the desktop version of Adobe Photoshop, but for mobile phones, it packs a punch. Aside from basic photo editing features, there are special effects built in too. For a free app, PicsArt Photo Studio is comparable to paid programs in terms of capabilities. However, the software is not difficult to learn. Icons are used instead of text, keeping the interface tidy. Its notification bar is located under the seven main icons. They are Photo, Camera, My Network, Profile, Gallery, Collage and Draw. The Edit Mode is where the action takes place. A dialog box prompts you to get a picture from your social profile, phone gallery or camera. Users can open photos from their Dropbox, Facebook, Flickr or Picasa accounts. The procedure couldn’t be simpler; after tapping the icon, you can log in and get your pictures. Among the available editing tools are Tool (for cropping, rotate, flip), Callout (add speech bubbles), and Text tool (it comes with presets). You can also draw on a picture. PicsArt Photo Studio comes with clip art and some stickers. You can also add an image over another one. Masks and special effects are also available. These work just like those in other photo editing software. Images can be uploaded to your social network account or an SD card. The Drawing Mode is for those who want to create pictures from scratch. The Collage is self-explanatory. You use it to combine photos. There are plenty of backgrounds and frames included in the app, allowing for variety. My Network is used for connecting to your networks, while the Profile is for logging in.